I wonder if some very fine “dirt” (possibly ostensibly “N scale”) from eg. Arizona Rock & Mineral would work? I have used grout on my harbor layout, too. I can forward some photos if you’re interested in seeing my results. I must say, I have mixed feelings about using it. I used black sanded grout, and like you observed, it went on VERY fine, but since it is grout, it sets up nice and holds things down. Mine however, got a white cast to some of it, which may have been caused by many things, I don’t know. 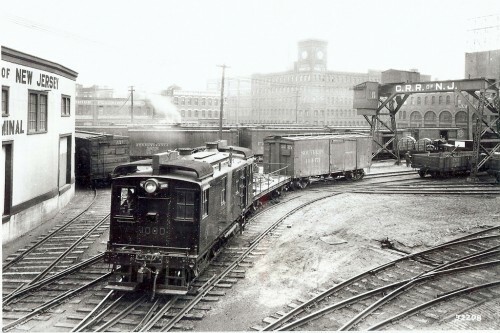 I had always intended to go back over it with a wash of whatever to see if that would tone it down, I haven’t yet. 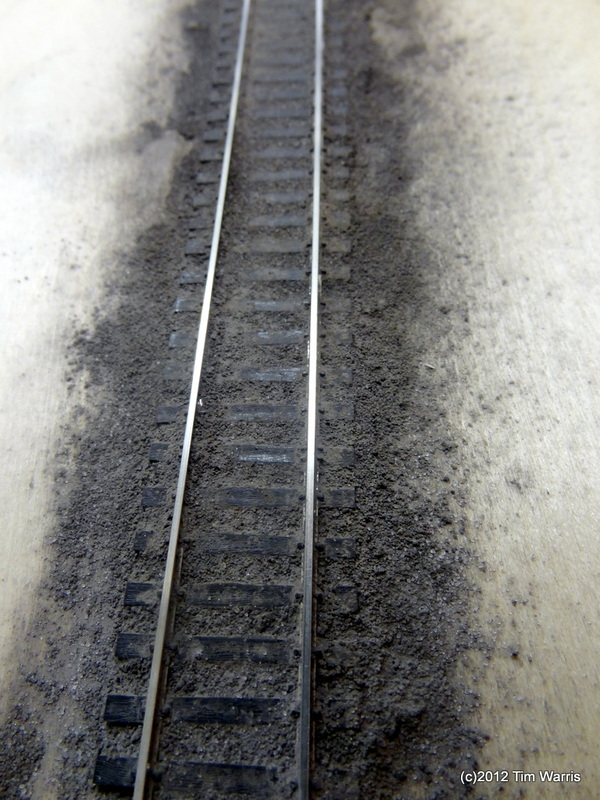 I’ve had to do some track work that was already ballasted, and it came up with minimum effort, though it made a mess! 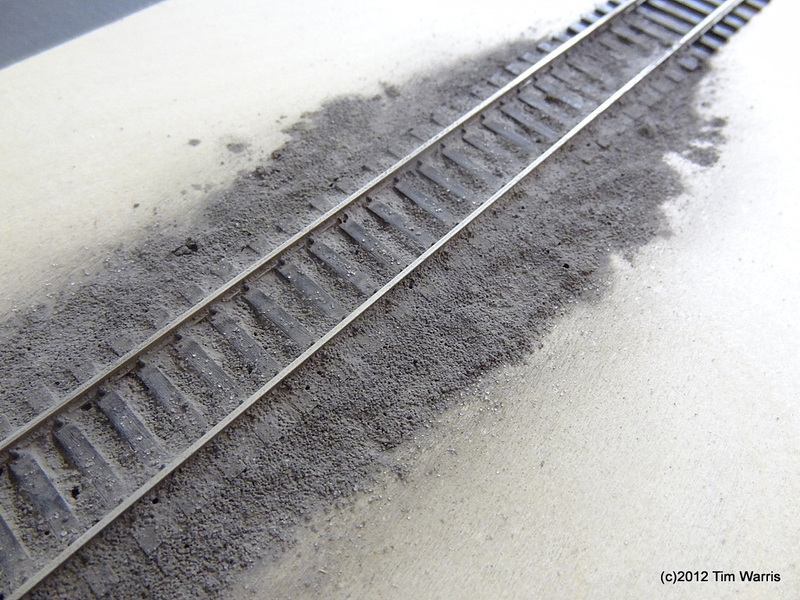 I still think I will continue to use it when I get back to ballasting, and experiment further. Why not try real dirt, sometimes the best way to model the real thing is to use the real thing, have a look around the area you live and see if there is any dirt that matches the color and collect some then sieve it, even fine sand might do the trick. other than that there are lots of modelling products out there that look like dirt or fine sand, one product I like to use for dirt is Tamiya Soil Dark Earth Texture Paint, it also comes in light grey, grey and light sand however I’m not sure how this would go as ballast. 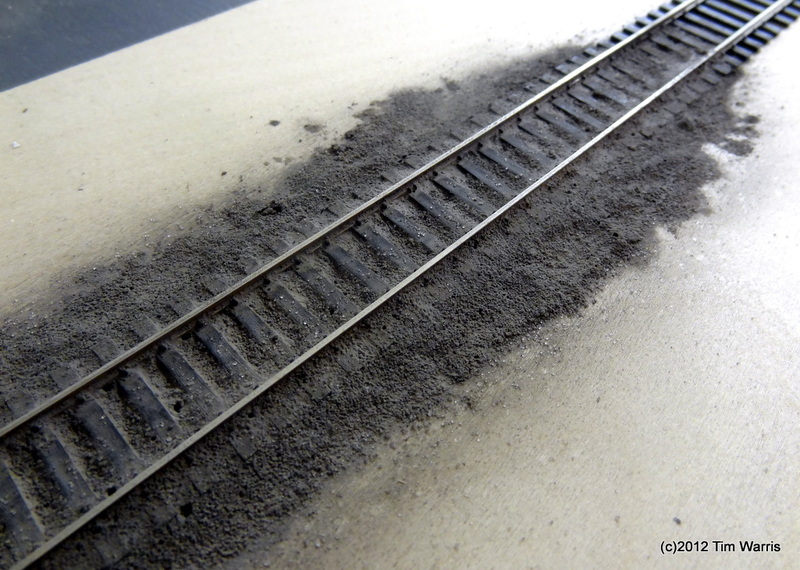 In watching the video of the real thing I would use N scale cinders mixed with various dirts and fine ballasts. It sure doesn’t look clean. Also happy to see you back at it! I apply mine neat from the bottle, using a pipette. It’s already ‘wet’, so soaks into the ballast nicely and gives a very, very good hold after a few hours, dries with a matt finish too. 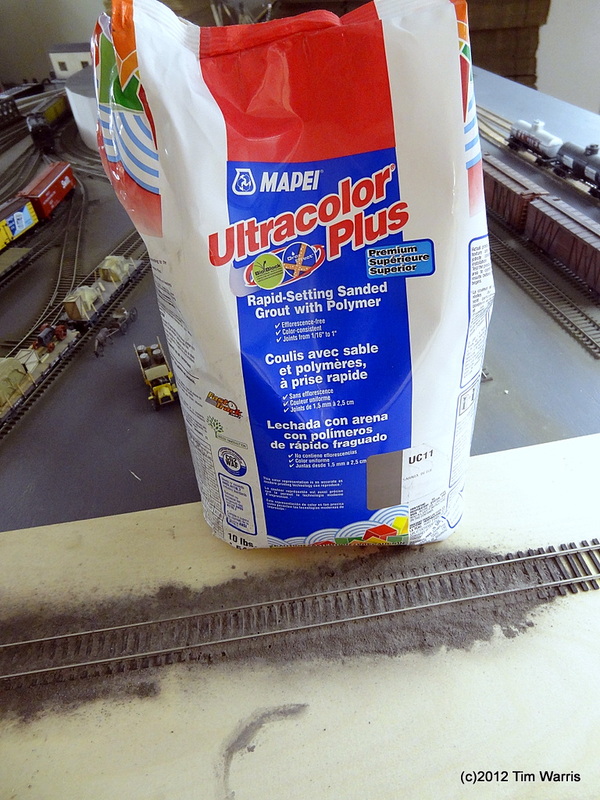 For the ballast itself, looking at the images, it’s similar in appearance and texture to my own layout requirements – I opted for the finest N gauge ballast I could find, fixed with Kleer. Looks just about right. 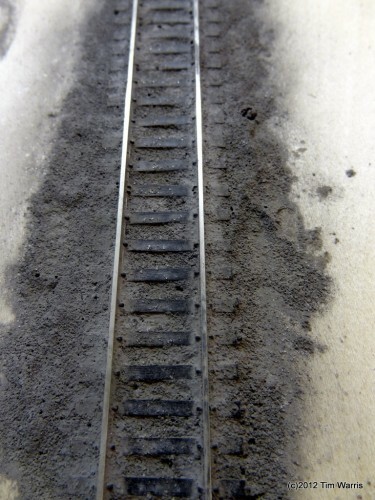 Do you have any update on your ballast experiments?